This is my first message as IUVSTA President, all the new officers formally taking over the reins of the Union during the triennial International Vacuum Congress (IVC) and its associated meetings which were held in Birmingham in the UK (just 50 km from my own base at the University of Warwick) at the beginning of September last year. I think it is therefore appropriate that I start by acknowledging the debt we owe to those retiring officers who have given so much time and energy to the Union. Formally this includes our past President, John Robins, but he will continue to be a part of the Executive Council for the next three years, so I will reserve my full thanks to him until he has the chance to do even more good things! 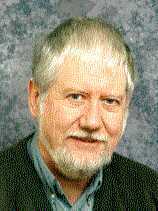 Ted Madey, on the other hand, our President during 1992-95, has now formally left us, and we certainly have benefited hugely from his efforts, the most recent manifestation of this being the recently-established IUVSTA Prize. The first of these awards was presented to Friso van der Veen of the University of Amsterdam at the Birmingam IVC. Rudi Dobrozemsky, our Treasurer for the last 6 years, is also retiring; he has done an excellent job of the delicate balancing act now required of our Treasurer to make it easy to spend money on the scientific and educational activities of the Union, yet to also maintain the healthy reserves which are needed to generate the investment income which funds these activities. A very special thanks, however, must go to John Colligon, our retiring Secretary-General; he has kept us all on the straight and narrow and ensured the efficient operation of the Union for many years - nine as Secretary-General, but he served as Recording Secretary even before this. Despite having only recently taken over the Presidency, my own responsibilities within the Union have not just started. The last 6 months have been busy ones for me, most particularly through my role as General Chairman of the Birmingham IVC. I believe this was a successful meeting for the delegates - it certainly had a very full programme of good quality science and technology - and while the city of Birmingham is not renowned as a popular tourist destination, the weather was kind to us and I think most people returned home with a favourable impression of this revitalized city, and a few even had the chance to explore the surrounding countryside (which certainly does contain some well-known tourist attractions). Of course, the success of this meeting owes much to many people: to the International Programme Committees which organized the scientific programme, to the staff of the Institute of Physics Conference section who coped with the logistical organization, and to the local committee, especially Robin Williams as Scientific Programme Chairman and Austin Chambers as Exhibition Organizer (who helped to keep us solvent!). A fuller report on the complete conference (which included not only the traditional IUVSTA International Vacuum Congress and International Conference on Solid Surfaces, but also the NANO and Quantitative Surface Analysis Conferences) will appear on this web site in the next few months. A first Presidential message should not, however, be all backward-looking. What are we going to achieve in the next three years? Well, time will tell, but I am certainly keen to maintain the momentum of recent years in developing more, and new, scientific and educational activities. The IUVSTA Workshops have proved a great success and will, I am sure, continue to grow (albeit within our restricted budget). The educational Schools which we have organized in collaboration with the ICTP (International Centre for Theoretical Physics) in Trieste have given us valuable experience on which we wish to build. I am also keen to try to identify a positive role for the IUVSTA, exploiting its human resources which greatly exceed its financial muscle, in the broad area of Developing Countries. I would welcome suggestions as to how this might be achieved, as, I am sure, would Monika Jenko who has a special responsibility within the Executive Council for such matters. Finally, I should take this opportunity to stress that IUVSTA exists for the benefit of all individuals working in the scientific and technological areas covered by its remit. While it is intended that this should be achieved through the national member societies, there is no doubt that the limited representation of each society (one Councillor, one alternate Councillor, and one representative on each of the Scientific Divisions) and the three-year operating cycle of the Union does create a real danger of remoteness. Officers, Councillors and Divisional Representatives should all welcome direct feedback from individuals in trying to ensure the Union works for you!